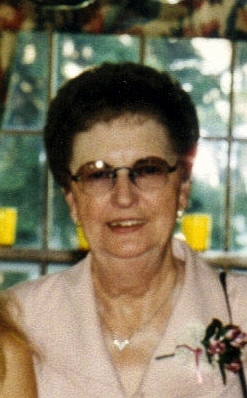 Emma Jean Haley Montgomery, 86, of Watertown, SD passed away peacefully on Monday April 16. A Funeral Service will be Friday, 1 PM at Barnett-Lewis Funeral Home with burial to follow at St. Michael Cemetery. Jean was married to Francis Haley for 25 years and they had four children: Pat Marsonette of OR, Michael Haley (deceased), Mark Haley of Sioux Falls and Georgia Krell of Lennox, SD. Francis Haley passed away in 1967. Jean married M.I. Montgomery and he passed away after 25 years of marriage. His three children include Robert Montgomery of Canada, Marilee Morse of CT and Eileen Seelye of OR. She is also survived by her loving partner of almost 25 years, Frank Keimig of Estelline. Jean loved to travel; she enjoyed dancing and will be remembered as an excellent cook. She is survived by 9 grandchildren and 9 great-grandchildren.